There’s this famous goat meat restaurant in Sauyo, Novaliches QC, but it’s far from where we live. Me, Natasha and Shelly craved for goat meat yesterday and we don’t want to travel to QC due to trafficophobia—the fear of getting stuck in the Metro Manila traffic. 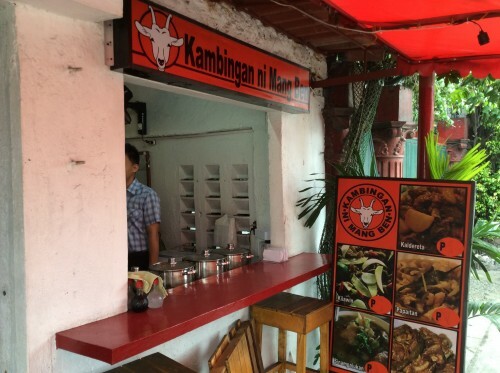 If you love goat meat and you’re craving for it and you live in Manila, then there’s a near, recently opened food shop just along M.Naval street in Navotas called Kambingan ni Mang Ben. Kambingan ni Mang Ben is inspired by Kambingan ni Tsong, according to what I heard from someone who loves goat meat. Both cook goat meat the way that you’re taste buds will crave for more.